Why Do My Eyes Hurt While Wearing Glasses? Your eyeglasses prescription is supposed to help you see the world clearly, but when wearing glasses makes your eyes hurt it seems as though the tradeoff isn't worth it. Why do your eyes hurt while wearing glasses? A few things could be causing this problem, and there are many easy solutions to help reduce eye strain caused by wearing glasses. If you are experiencing eye fatigue, pain, or headaches, and your prescription has been around a while, it's time for an eye exam. 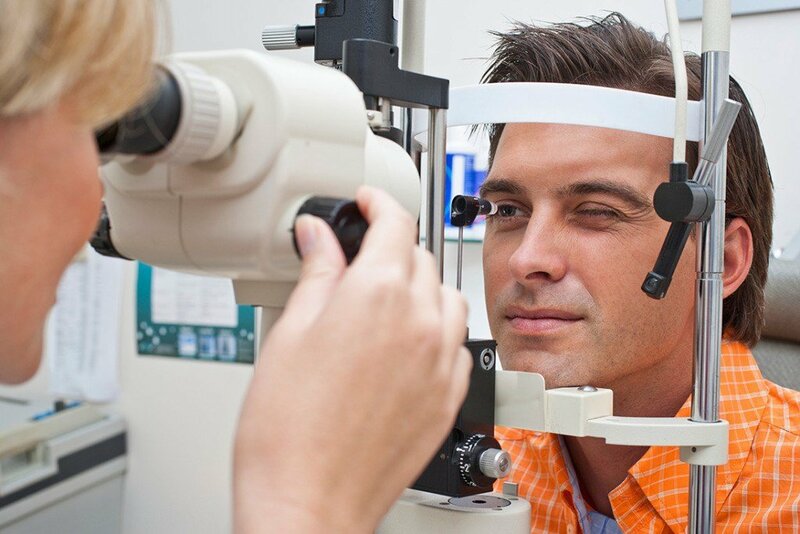 Your optometrist can check your vision, and make adjustments to your prescription as necessary. She may also discover a misaligned lens or improper fit, which could be to blame for eye strain. Alternatively, a new prescription has a slight transition period. You may need 24-48 hours to adjust to a new prescription, especially if it is a large change from your previous lenses. While resting your eyes by removing your glasses may help with discomfort as you adapt to your new prescription, you should wear your eyeglasses as your optometrist has prescribed. If you are repeatedly removing your glasses, your eyes and brain must work harder and it will take longer to adjust. If you are still experiencing problems after a week of regular wear, contact your eye doctor to check your prescription and make sure the lenses are accurate. There is more to wearing glasses comfortably than just your prescription. Heavy frames or improperly fitted eyeglasses may put pressure on your nose or sides of your head, causing discomfort. Loose frames may slip down your nose or rest in the wrong place, so your eyes have to work harder to compensate. Your lenses may have slipped in the frame. The wrong frame shape could be causing your pain. The same goes for glasses that are too close or too far away from your eyes. An optician can ensure your glasses fit properly. Spending a significant amount of time looking at a screen or reading may cause your eyes and head to hurt. Focus on an object in the distance regularly to give your eyes a chance to rest. Digital light protection can be added to your lenses to reduce the harmful blue light produced by a computer screen. Looking through old, scratched lenses may cause eye discomfort, so replace lenses as necessary. Consider lenses with an anti-glare coating to lessen eye strain. An anti-glare, or anti-reflective, coating reduces the amount of light that reflects off the front and back of your lenses. This lets more more light pass through to your eyes. It also allows for better visual acuity, or sharper vision. 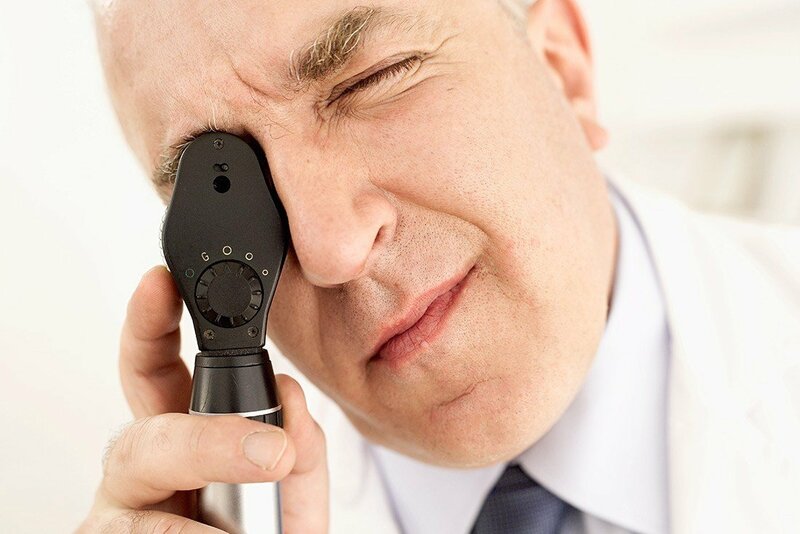 Your eye doctor can address dry eye, a common complaint and cause of discomfort. Drops may alleviate dry eye irritation, but consult your optometrist for additional recommendations. Presbyopia, a normal condition that occurs with age, may be the cause of eye pain for individuals over 40. Difficulty focusing or reading small print and subsequent eye strain occurs when the lens of the eye becomes less elastic. You may want to switch to progressive lenses. Consult your eye doctor to rule out more serious concerns if your change in vision or discomfort is sudden. 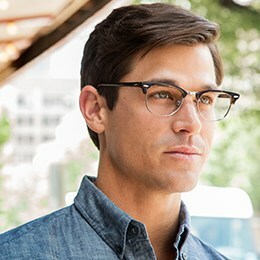 Eyeglasses are supposed to make your vision clearer and more comfortable. If they seem to be doing the opposite, these tips should point you in the right direction. Even if you are not experiencing discomfort, visit your eye doctor annually to discover and correct vision problems. FramesDirect.com > Blog > Why Do My Eyes Hurt While Wearing Glasses?